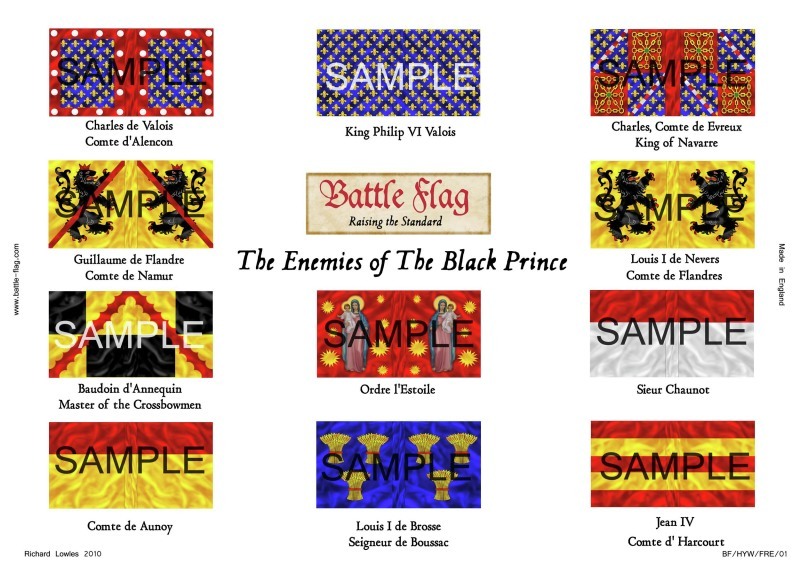 Eleven banners of the French Nobility; King Philip VI, Charles (The Bad) King of Navarre, Comte de Namur, Baudoin d’ Annequin (Master of Crossbowmen), Comte de Aunoy, Comte d’Alencon, Comte d’Harcourt, Comte de Flandre, Sieur Chaunot, Signeur de Broussac and the Ordre l’Estoile. Beautifully detailed personal banner of Joan of Arc. This version is printed on museum quality paper using archival quality inks.